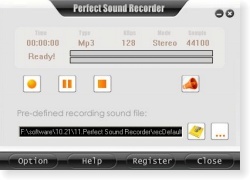 Audio Sound Recorder - Record Audio Streaming to MP3, WAV, WMA, OGG, etc. Audio Sound Recorder is a direct and real-time sound recorder software which offers professional recording features with MP3, WMA ,WAV , OGG files and so on. If you are in doubt about which audio sound recording software is most suitable application for recording to a computer we recommend you download and try them. You don't have to purchase to download and it only takes seconds to download and install each program. 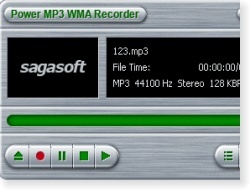 Power MP3 WMA Recorder makes a complete audio recorder studio of your computer. With it you can record audio from microphone, streaming audio from the Internet, music played by Winamp, Windows Media Player, Quick Time, Real Player, Flash, games, or muisc from external such as Turntable, Walkman, Tape Player, DVD, etc. 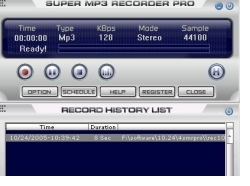 Super Mp3 Recorder Pro can record voice from microphone, internet streaming audio, or music played by Winamp, Windows Media Player, Quick Time, Real Player, Flash, games, etc. 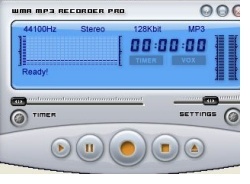 The recording voices can be saved as MP3, VQF, WAV, WMA and OGG files. Super Mp3 Recorder Pro is able to automatically detect the recording formats that your sound card supports and then set the application's parameters for the best possible performance. 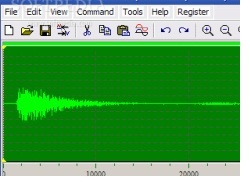 i-Sound WMA/MP3 Recorder turns your computer into complete audio recording studio. You can record music, sound and voice from internal or external sources into MP3, OGG, WMA, WAV, and APE format sound files directly without costing any other disk space. 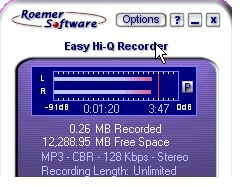 With this sound recorder you can directly digitize recordings of music cassette tapes, streaming Internet audio, vinyl LPs, videos, and meetings directly to your computer's hard disk, creating popular mp3 or wave sound files on the fly.